You think Blizzard went the wrong direction with World of Warcraft and you would like to experience the good old days again? Or are you one of those that came a bit too late but that were always curious how gameplay might have been back in the days when World of Warcraft started? Or did you already play on a classic private server to get back to this experience but they shut your favorite server down? No matter who you are, there is a really great news for you. A while ago, there were hints that Blizzard showed interest to support classic servers. 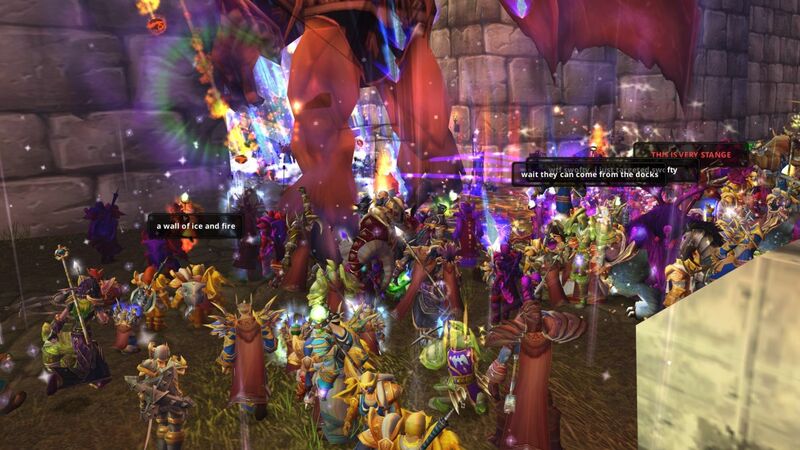 The Nostalrius private server team attempted to convince Blizzard to team up and to work together on an official classic realm. After a petition of the legacy community, Blizzard invited the Nostalrius team at their campus in Irvine California to discuss about the legacy community and realms for World of Warcraft. It looked like a good news for everyone who wished to experience vanilla WoW again, and the Nostalrius team said that they would work hard if they would get the chance to create an official classic realm for World of Warcraft. The Nostalrius team had high expectations, but sadly they never got a reply after the Blizzard meeting. Now the Nostalrius team stated in their own forum that they will have to assume that Blizzard is not interested to work with them together to create an official Blizzard realm of Legacy WoW. Nostalrius went into full offensive and released their classic source code and the additional tools to the community “in hope that it will maintain the Legacy community as much as possible until Blizzard announces an official Legacy plan – should they decide to do that”. The source code will be first given to an existing Legacy project which we believe to be the most in line with our core values, named Elysium. This server shares the volunteer spirit and passion for the game we had. Furthermore, an important part of Nostalrius volunteers are already working there, some under different names. We wish them all the best, and hope that they will become a new home for the reunited Vanilla community. We will continue collaborating closely with them. This collaboration could include additional “things” to share with them if necessary to achieve this goal. I’m still trying to find a game to buy that I think I’ll really enjoy playing.